My association with PES stretches back to the days when it used to be called ISS (International Superstar Soccer for those younger ones out there). 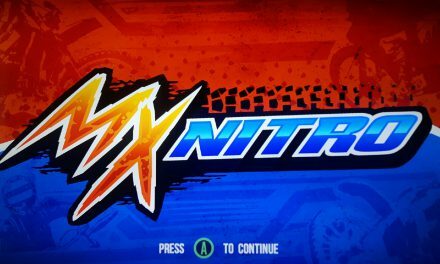 It was a series that always focused on gameplay, due to the other guys having the budget to just swipe up every license going. It was OK though, as it played a solid game of football. The PlayStation 2 days were the glory days. The PlayStation 3 days? I won’t even attempt to talk about that. However, PES has had a revival the last couple of years, much thanks to the development team getting used to and adapting the Fox Engine. 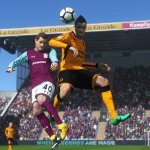 PES 2016 and 2017 more-so were solid football games. I even called PES 2017 the greatest football game I have ever played. 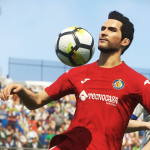 PES 2018 was announced, with Adam Bhatti, the PES Global Product and Brand Manager, confirming that it was in 3 years in the making, and the start of a new 3 year cycle for the series. I’ll now have to retract my statement. 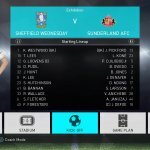 PES 2017 was the greatest football game I’d ever played. 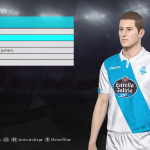 Right from the moment you start up PES 2018, you can tell that a lot of work has gone into it. 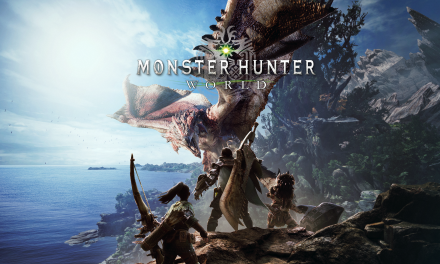 The menus look crisp, the soundtrack is current and everything just looks a lot better than the last 2 or 3 years in the making. Konami also use the real player faces now for all teams when it comes to the gameplan. Of course, unfortunately, the PES team still don’t have the premier league license (the one that we all want right?) 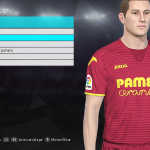 but honestly, it’s not really needed, thanks to the talented folks at PES Universe, who work tirelessly to fix any licensing issues and produce an Option File that looks absolutely incredible in this year’s game. You only have to look at some of the images below to see how hard they are working this year! They are aiming to get the Option File released for launch day, September 14th, so make sure you stay tuned to their website for the Option File, and a tonne of support over the next 12 months. 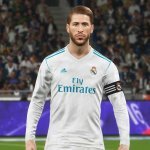 Regardless of licensing, Konami have made the smart move by signing individual club agreements who will be exclusive partners for PES going forwards. 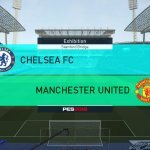 This started last year and has expanded a hell of a lot with PES 2018, with heavyweights such as Valencia and Inter getting included this year. What is nice to see is that Konami haven’t just gone out and chased the biggest teams in the world. 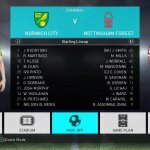 Whilst they have some very big partnerships for PES 2018, they also achieved an agreement with the EFL Championship side, Fulham FC, who are also impeccably recreated in PES 2018. It’s not just clubs that have Konami targeted either. 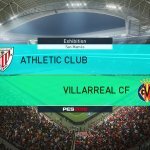 Usain Bolt, yes you read right, the athletic sprinter has also made his way on to PES, in a partnership that has raised eyebrows, but in my opinion can only be good for the game going forward. He’ll be the fastest player in the game, which let’s be honest, isn’t a surprise! Sadly, I’ve yet to get hands-on with Bolt yet as the online servers are not available at the time of writing and he is a myClub exclusive. As well as that, Konami pulled off one hell of a coup by getting David Beckham exclusive to PES in 2018 and beyond. You won’t only be getting 1 version though, you’ll be getting 5! 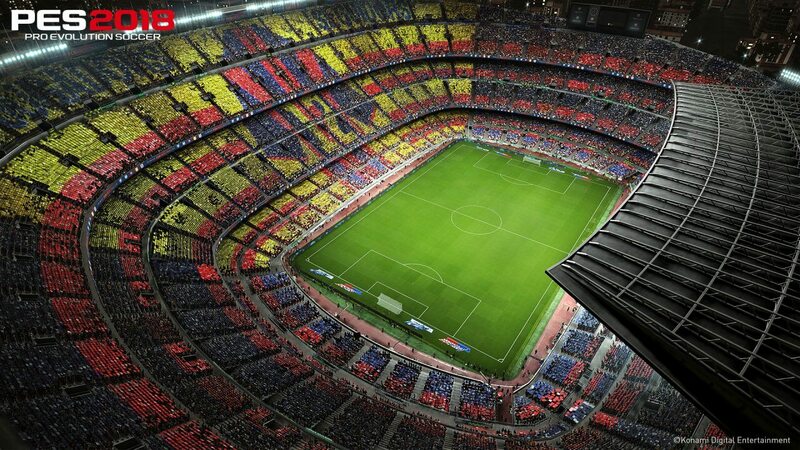 But of course, it’s on the pitch where it matters and it is on the pitch is where the game shines most. As soon as I kicked off for the first time I realised that this was no where near PES 2017 or anything before that. 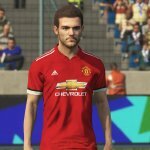 PES 2018 has been a game in the works for 3 years and it clearly shows from start to finish. The very first thing you’ll notice is how slow the game is. Compare it to a game of PES 2017 and you’ll see it is practically night and day. However, the slowed down pacing is a move in the right direction completely, allowing for a more realistic game of football. Gone are the days of 3 passes and goal, you have to think about what you do with each pass, with each dribble. 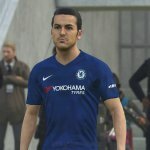 PES 2018 is truly a thinking man’s game. Passing and Dribbling are the two elements that stood out for me, dribbling especially. 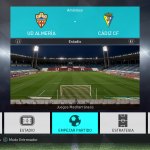 Going on to PES’ rival, one thing I don’t like about it is the fact that it is so reliant on the right skill tricks. Rabona, Stepover, McGeady Spin…. moves that you have to use in each game in order to get past your opponent. 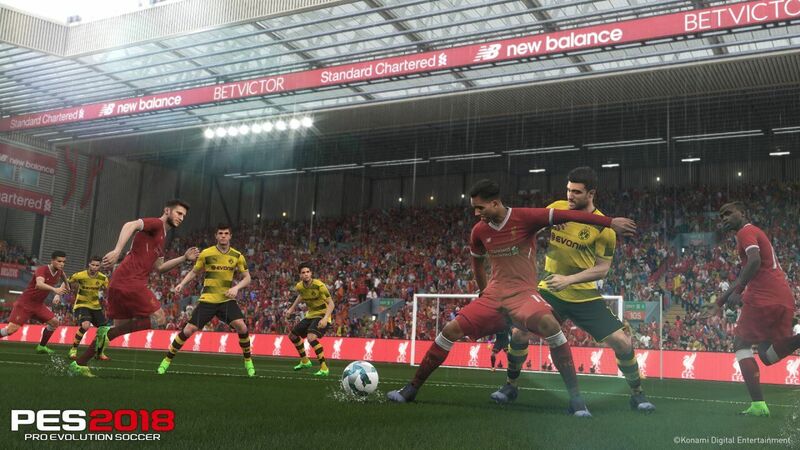 PES 2018’s dribbling is so remarkably unpredictable, you only need the left stick to beat your oncoming defender, leaving him lacing up his shoes as you bare in on goal! It’s sublime, the best dribbling system I’ve played in a football game since the golden days of PES 5 and PES 6. 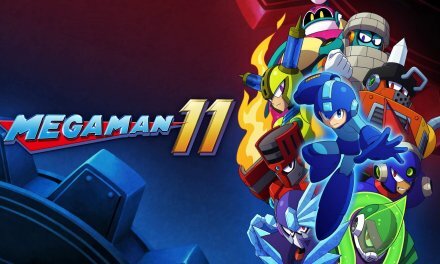 Online, this is going to be a real test of skill, and the 1v1 battles you’re going to have with your friends is going to be memorable. Passing has also had a hell of a lot of attention to it. A lot of people complained in the demo about it being too assisted in PA-1, and to an extent I’d have to agree with them. However, the tweaks the development team have made with the full game completely put my fears aside, the passing felt free and if you’re not careful, will go astray with even the littlest of passes that you attempt. I’m occasionally a hoof the ball kind of player (Hey, I support a Championship team, what did you expect?!?) and the long balls from the defence are so good if you can get them right, having the right type of striker run onto it. Player ID. How do Konami improve this each year? Seriously, I didn’t think that it could get any better in PES 2017 but the slower pacing allows the star players to shine more than ever in PES 2018. You’ll instantly feel the power and speed (without it being overpowering) of a Neymar, Messi, Mbappe. Griezmann type of player. Where on the other side, you’ll feel the power of a Pique, a Pogba and players like that. Even the lesser known players feel different. 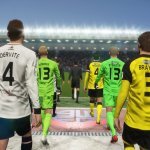 Master League is going to be a delight this year building up a side that suits your style of football and putting up your team against the AI’s best. One thing I will say that should please a lot of you, the overpowering cross > head > goal system has been completely fixed, giving an all rounded and fair match as a result. You know have to work for your goals. 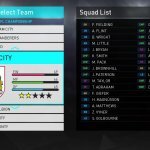 Speaking about the AI, Konami have a little trick up their sleeve with SuperStar not being the hardest difficulty available in PES 2018. If you can beat SuperStar on any mode 5 times, you’ll get an in-game message telling you that you have unlocked the Legend difficulty. This is just brutal, and once again will have you digging your nails in when it comes to modes such as Master League and Become a Legend. I feel like I’m a decent PES player overall, restricting the SuperStar difficulty to around 5/6 shots a game. I put it on Legend difficulty and it ended up with the CPU having 26 shots against me, beating me 5-0. The good thing is that the AI doesn’t cheat in order to win, rather picking up on any half mistakes you do and punishing you. It’s a challenge to say the least and one I can’t wait to start with as I take my beloved Birmingham City on my annual Master League journey. 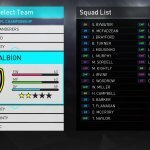 Each year, I won’t start Master League or Become a Legend until I have installed my Option File and the Day 1 transfer update (released on launch day) has been released to fix all of the current out-of-date squads. However, I quick run through of Master League pleasantly surprised me. More cut-scenes (ones that actually matter) have been added in and the transfer system has also had a lot of work put in to it. Buy out clauses (look out, PSG!) are included now, meaning you don’t have to spend ages negotiating for a player if you want him. If you want him that much, just simply buy out the release clause and the player will be yours. Of course, you need to have the available funds and the player has to want to join you first! 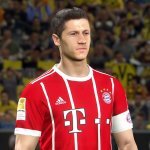 As said previously, the online servers aren’t available as of yet but I really can’t wait to jump online with PES 2018. The recent beta has proven that Konami have FINALLY got to grips with the online side of things, giving us a smooth experience. The addition of 2v2 and 3v3 online co-op is something that I’ve wanted for years, so I cannot wait to jump in and team up with some of you online in the near future. 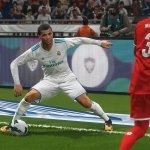 Overall, PES 2018 is yet another big leap forwards for Konami and football gaming in general. The gameplay is spot on now, with other areas needing the attention it craves. In other areas I mean the commentating. Peter Drury and Jim Beglin are both great commentators in their own right, but please give them freedom to do their own thing and commentate on the match as they see it, in a number of different scenarios. 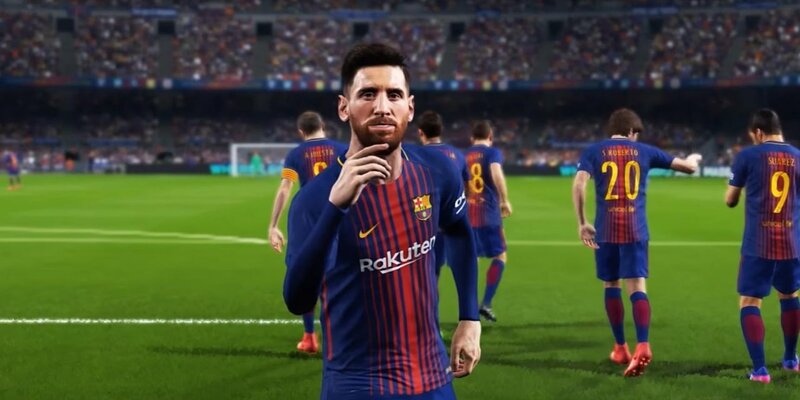 If they can get that right, it’ll be amazing all round because you can genuinely see the effort the PES team are putting in with the overall atmosphere and authenticity. The visual side of things are the best they have ever been now, lighting (especially on a night match) is truly something to be seen. You also get to see the interior of some of their partnered team’s stadiums. Signal Iduna Park, Anfield and Camp Nou are replicated perfectly, and seeing your team in the tunnel before the game starts is perfect in terms of replication. 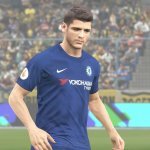 Summary PES 2018 is another bar-raising football game from Konami. It has took 3 years for the development team to make this game and it completely shows. 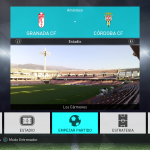 PES always had that 'one more game...' feeling and this is back in abundance with PES 2018. 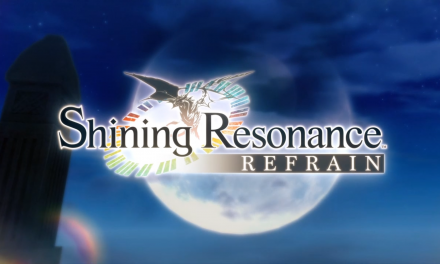 Konami now need to work on the commentating going forwards to make sure it is up with all other aspects of this game. PES took back the throne last year, now it's time for them to get comfortable! NextTom Clancy’s The Division PC Is Free This Weekend!